Walking and Group bunkhouse accommodation between Swansea and Brecon, South Wales. 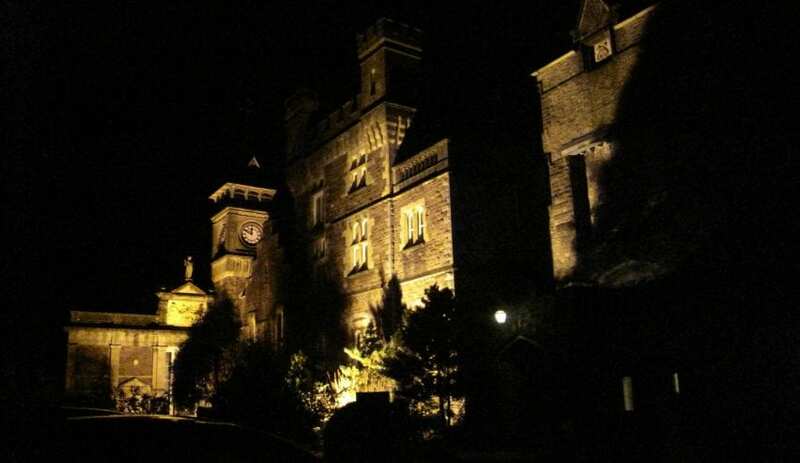 Craig Y Nos Castle is situated on a sweeping mountain road that crosses the Brecon Beacons. Once a celebrity palace and then a sanatorium providing the fresh air cure, the castle has always been chosen for its location. In the grounds of the castle the Nurses Block has a lounge, a small self-catering kitchen, 10 twin rooms, 1 single room, showers, loos and a disabled bathroom. All the beds are made up with fresh linen and duvets. The kitchen has a 2 ring hob and 2 microwaves, bring your own plates, cutlery and pans. 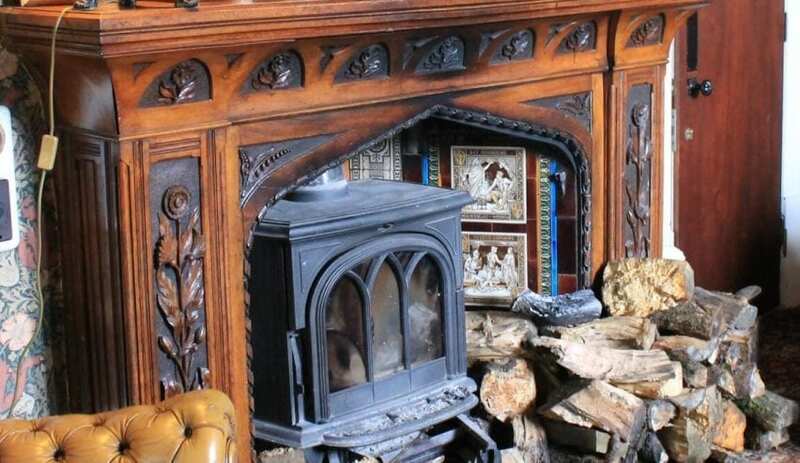 You are welcome in the Castle for hearty meals, cosy evenings by the wood burning stoves and a free history tour (some areas might be restricted if a wedding is taking place). Superior quaility bed and breakfast rooms are also available in the castle. The Castle has a conservatory for parties, a unique period theatre, gardens with views across the river and a hot tub & sports room. The Gwyn Arms is five minutes' walk and there is a pub and other amenities in Pen Y Cae (1.5 miles). Local adventure companies offer outdoor activities, you can enjoy the mountain walks and waterfalls close by or take a 50 min drive to the Gower's sandy bays This accommodation is featured on our map of South Wales and Pembrokeshire and here is its own website. Nurses Block sole use:- 1 night £350, 2 nights £500, 3 nights £600, 5 nights £700. B&B per twin room: £67.50pn midweek, £87.50pn weekend. Breakfast for groups £6.50pp. Bookings only accepted within 6 months of the date of your visit. Between Swansea and Brecon at the foot of the Brecon Beacons. Half an hour by car from trains at Swansea or Neath. This accommodation is near mountains, is in a National Park, is available to individuals, has a pub within walking distance and is on the Wedding Venue page, the Brecon Beacons National Park, the Hostels that welcome stag and hen parties map, the Cambrian Way and the Beacons Way. Have your magical moment captured in a truly magical location! 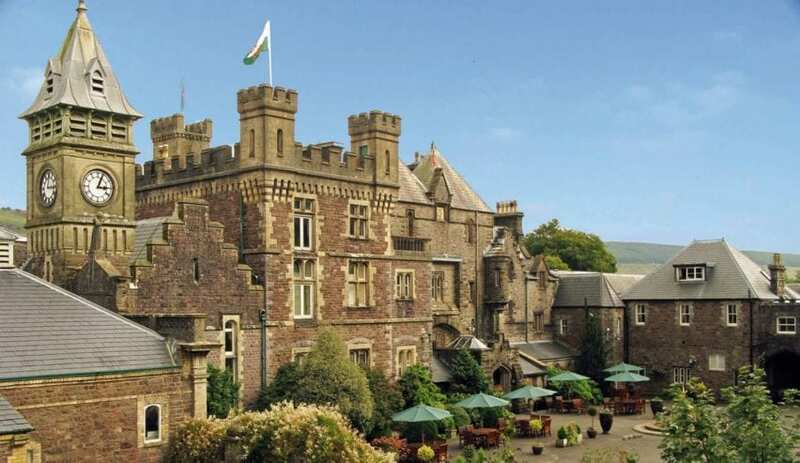 Craig Y Nos Castle caters for weddings and stag/hen weekends in the wonderful wild Brecon Beacons. 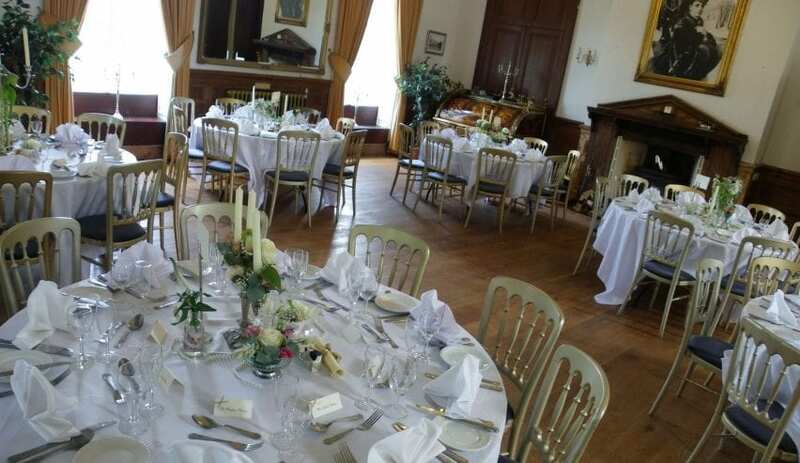 With the castle nestled in a truly enchanting location, let your heart lift you away into the magic of the blissful day… Meanwhile your guests can revel in the exquisite meals and scrumptious deserts for your wedding day at Craig Y Nos Castle, and enjoy a drink, as the castle also provides accommodation. Embrace the past at Craig Y Nos Castle with a free tour of the historic building! Walk among the ghosts of the past, through the hallways that once inhabited the children of the TB sanatorium, and continue onward into the past as you gaze into the faded grandeur of the famous diva Adalina Patti’s elaborate architectural style! Find out about the famous diva Adalina Patti and the children of the Criag Y Nos TB Hospital by joining the daily History Tour. Normally costing £10, but free to people staying in the Castle or the Nurses block Bunkhouses, the tour takes you into the ruined upper floors of the castle, the preserved Adalina Patti theatre and onto the roof with stunning views of Brecon Beacons. After your adventures, retire to the castle. The actual definition of convivial. Its a fascinating place, Craig Y Nos Castle. Not only does it sit high on a mountain pass in the Brecon Beacons placed perfectly for those highlands and the legendary beaches of Gower, but it also has more stories from history and myth than I can possibly fit into this natter. We’re outdoors types here and we’re often looking for a walking, cycling or adventure base and, yes Craig Y Nos can offer that – with a plethora of outdoor activities on offer in house and nearby as well as a picturesque 40-acre country park in the grounds and easy access to the 100 mile Beacons Way. But sometimes we wind down, relax, perhaps even spend time indoors. The castle has served time as a sanatorium offering the ‘fresh air cure’ and as a side effect of this has a ‘Nurses’ Block’ which currently houses the hostel accommodation. So you’ll be sleeping in the Nurses’ Block. Stop sniggering at the back there, Sid James! 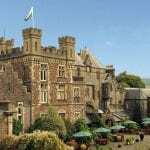 It has 11 twin and single rooms with self catering facilities but you’re also welcome to use the facilities of the castle as well! Hot tub, conservatory, period theatre, cosy wood fires. The actual definition of convivial. But what about those stories from history and myth? Well, while you’re there, ask them about the free history tour; about the ghosts (it claims to be the most haunted castle in Wales! ); and about the Arthurian Lady of the Lake.